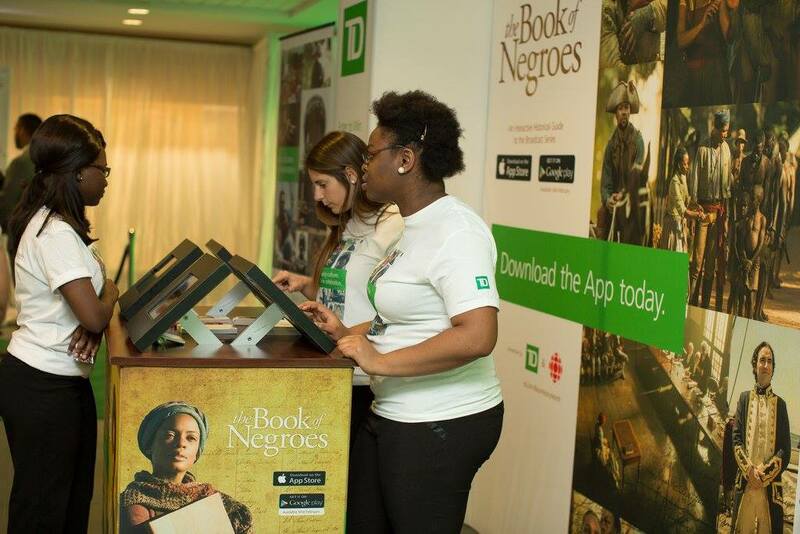 promoting new TV series from BET and CBC. 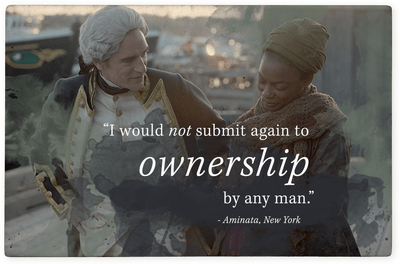 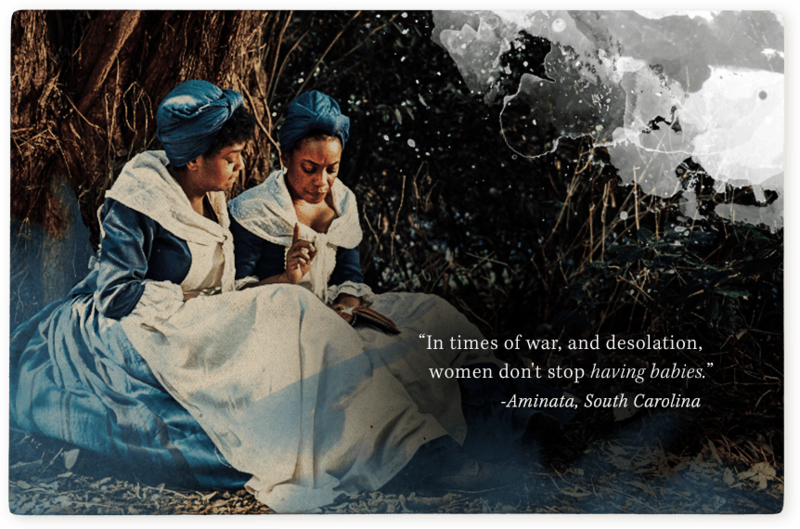 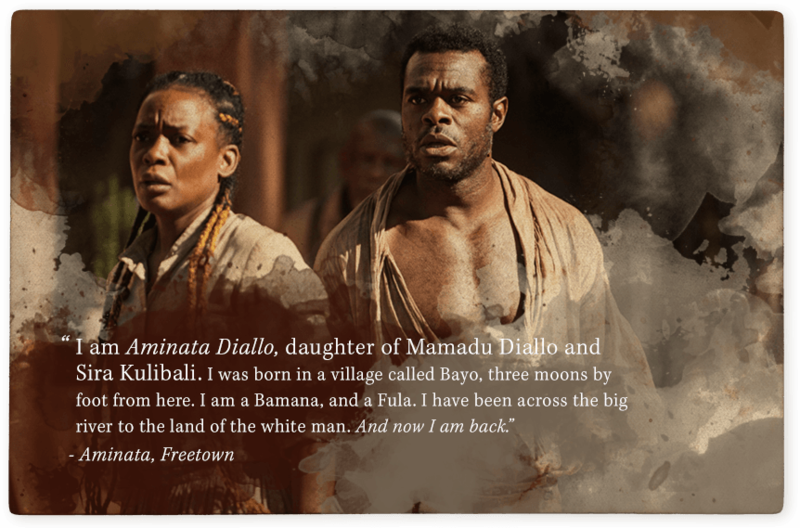 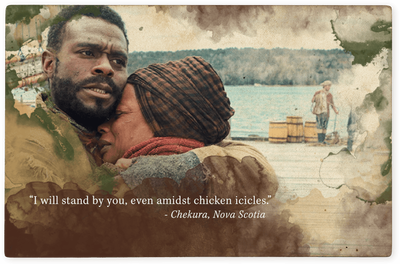 To engage the audience with the Book of Negroes’ compelling narrative and characters, while underscoring the true historical foundations for the story of Aminata Diallo. 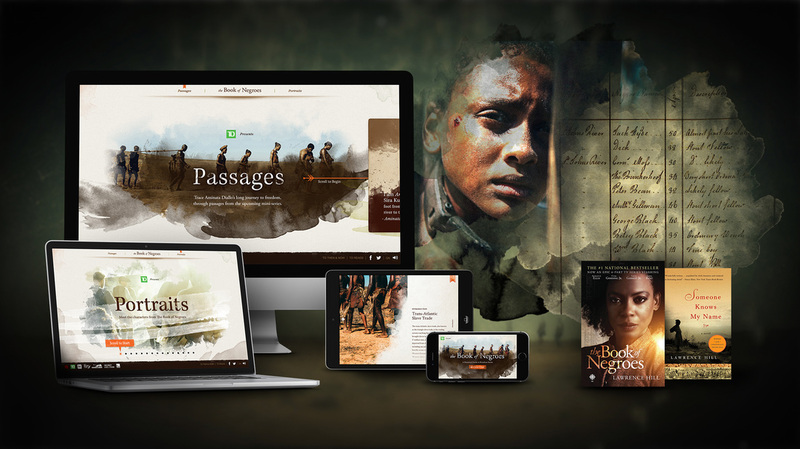 Find the best platform to present each element - narrative, characters and history – in most effective way and reach the broader audience. 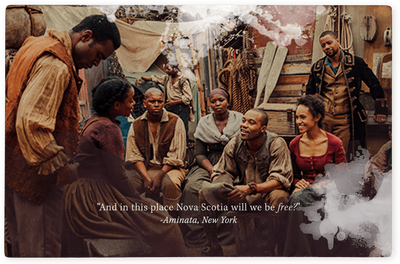 Release them in timely manner to offer the most desirable contents at the moment as the TV show progresses. 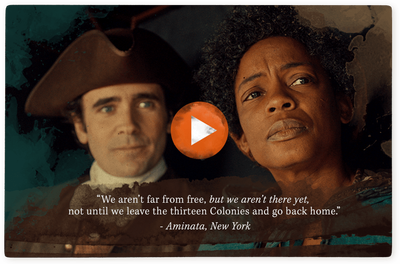 ​Bite-size, inspiring quotes from the story with powerful images and videos to be shared leading up to the broadcast premiere. 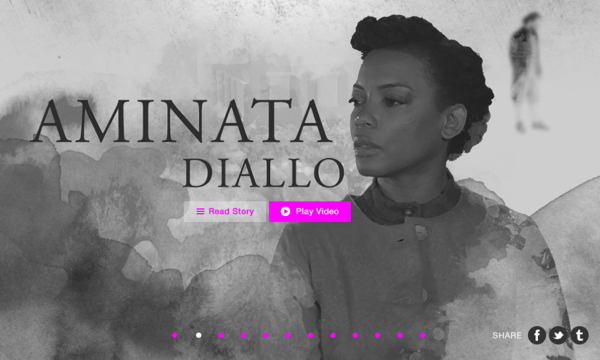 Offer exclusive stories about each character. Follow up with a companion app to support and educate the true history behind Aminata’s story. The Book of Negroes is a six-part mini series based on the novel, Someone Knows My Name by Lawrence Hill. 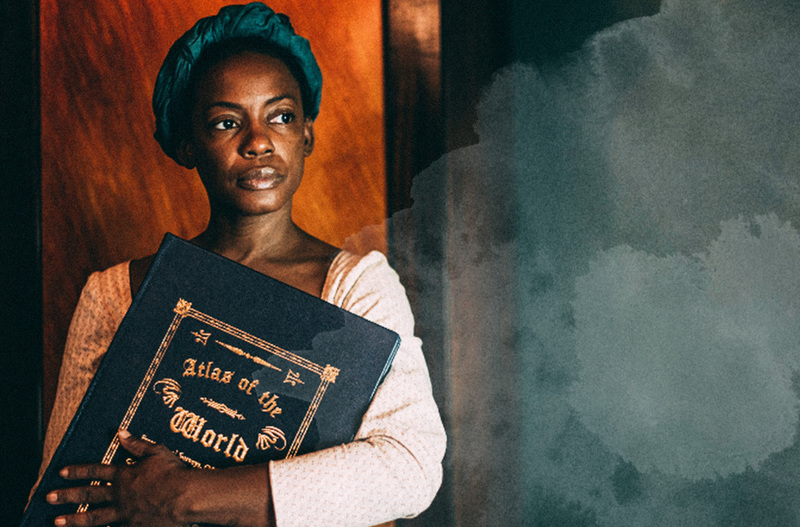 There are plenty of interesting backstories from many characters to be told, and Portraits is the place where the audience meet them and listen to their story. Ten key characters were chosen, and the monologue video of each character got released followed by the on-air TV episode that he or she was introduced. 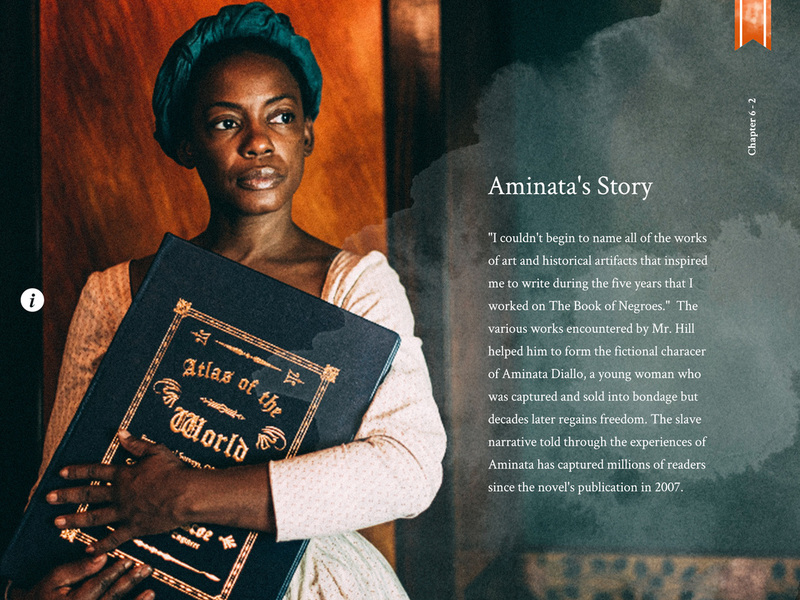 Aminata’s video was revealed at last, reflecting the overall story and nicely wrapping her journey to the end. 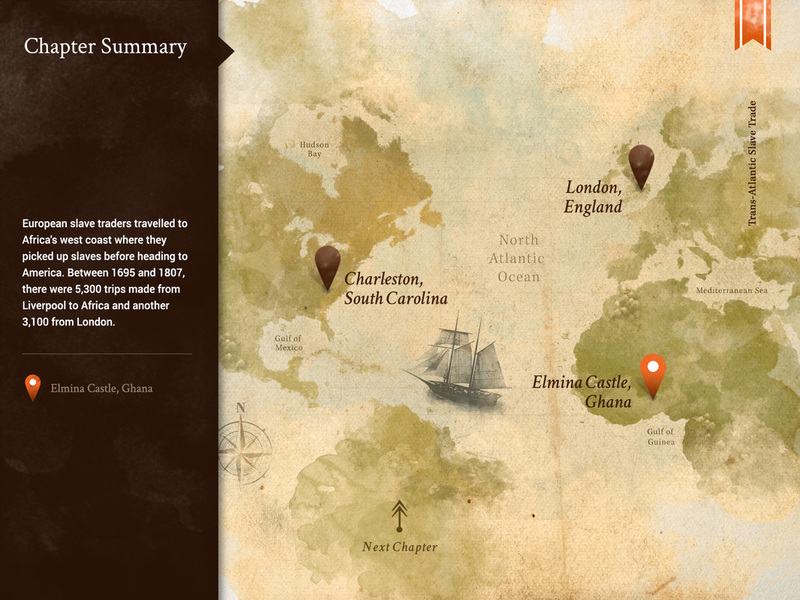 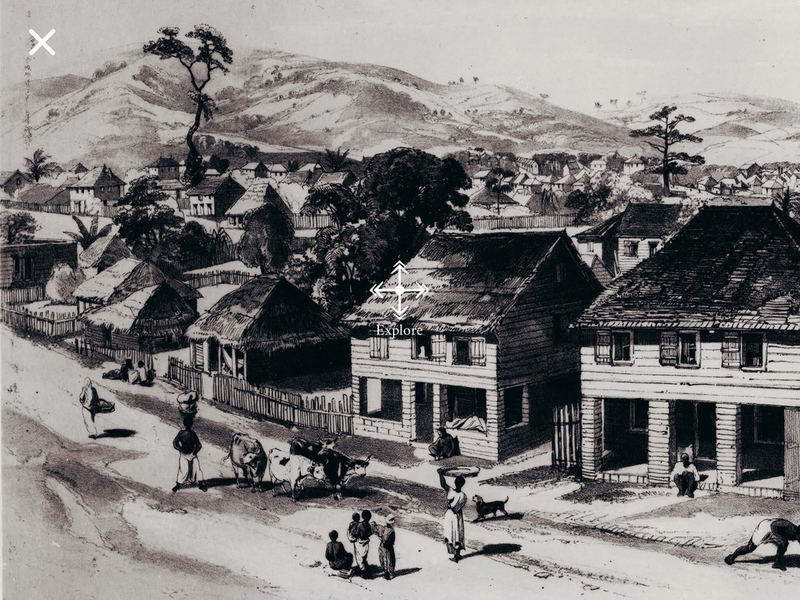 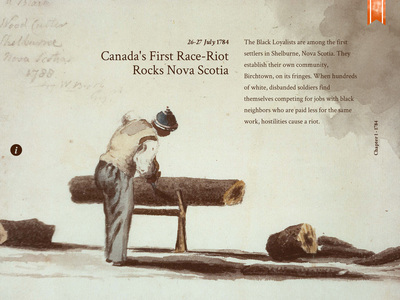 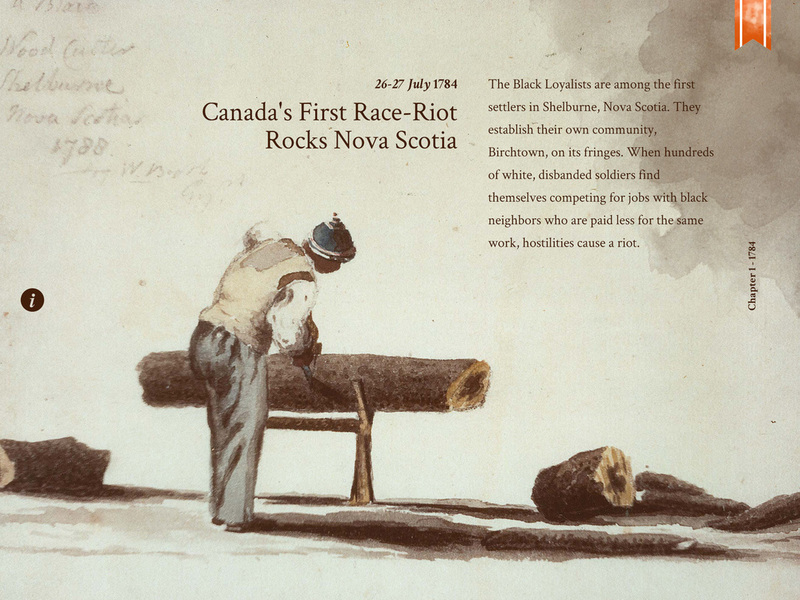 This companion app is designed to outline the history of the trans-Atlantic slave trade. 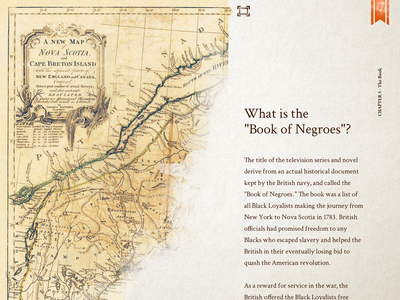 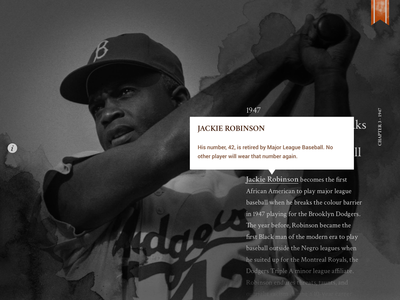 Over seven chapters, it provides a timeline of Black history from 1705 to the present day. 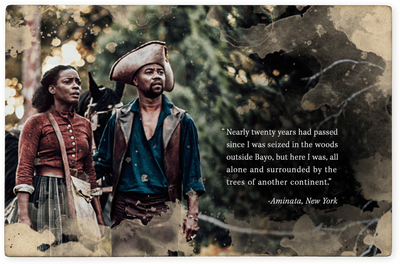 In addition, it explores the historical grounding of both the novel and series in the original Book of Negroes historical document, which identified Black slaves who fought for the British during the American Revolution. 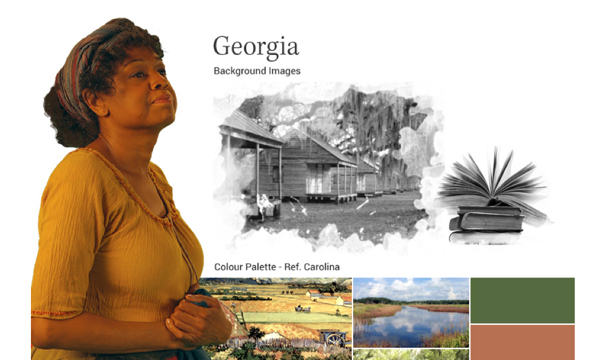 For educational settings, the guide features optional discussion questions and further investigation of the various topics. 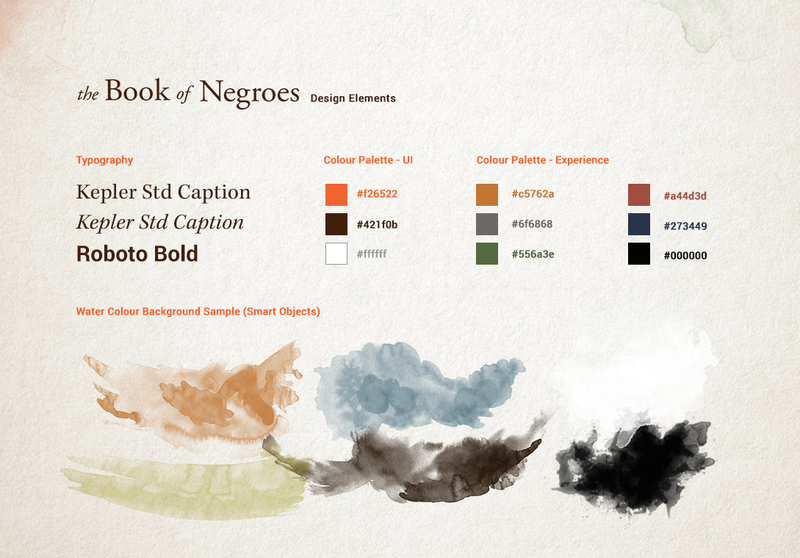 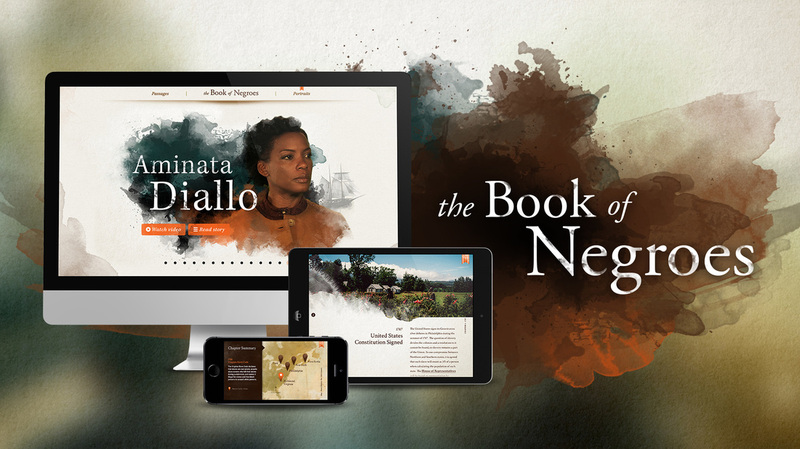 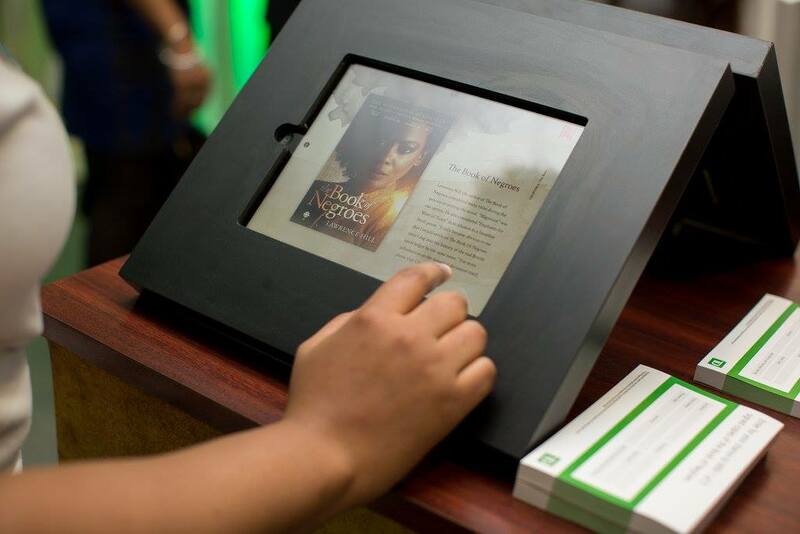 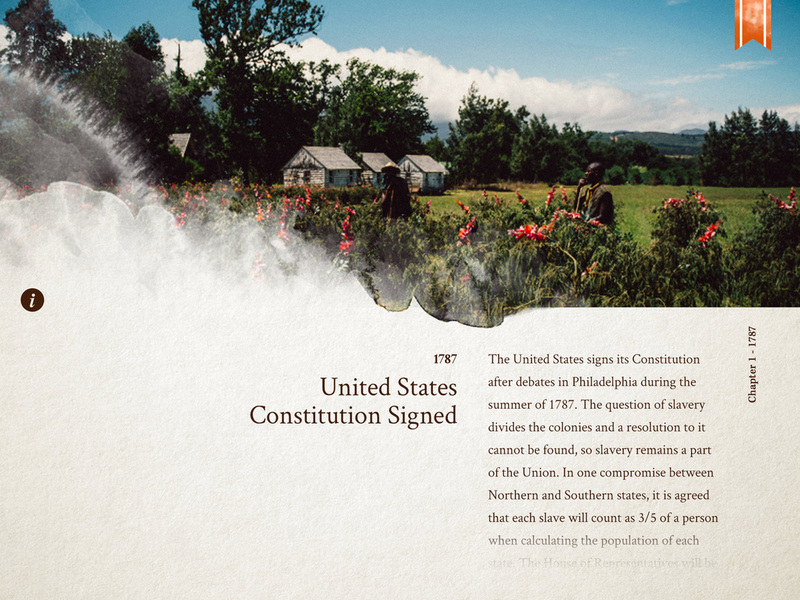 An intuitive interface allows users to swipe, tap, and scroll through chapters to engage with interactive features in a linear or nonlinear fashion, and gain a deeper understanding of the historical events portrayed in The Book of Negroes. 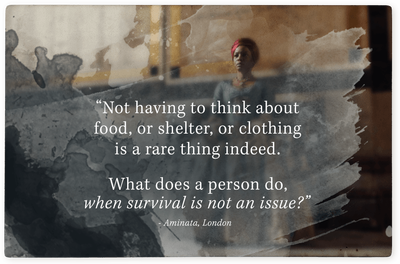 Contrary to the harsh aspects of the story, the design focuses on presenting the genuine beauty in her honest and brave personality. 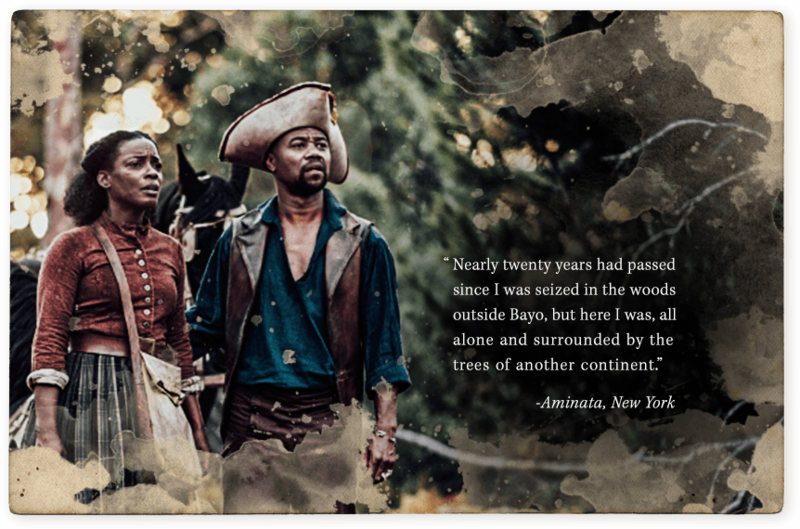 Utilizing the color scheme of each city from the series, the earthy tone was used throughout the experience achieve the historical look. 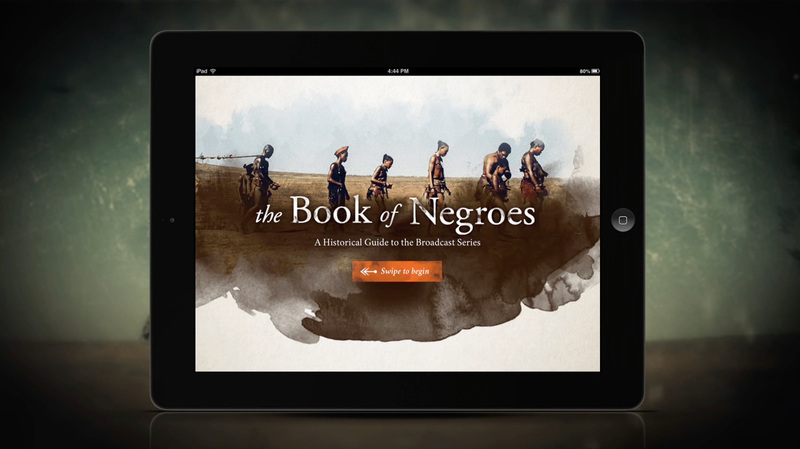 The Historical guide app was published for both tablet and mobile use. 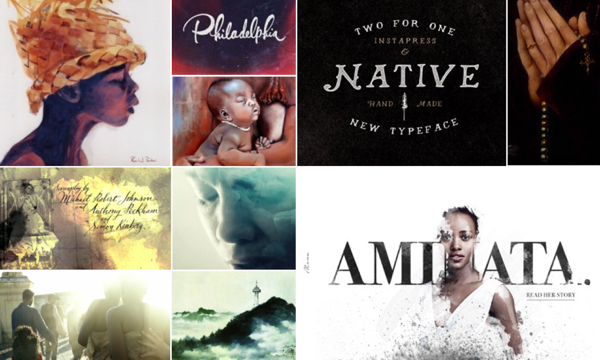 Featured as Best New Apps in App Store.